Saturday October 15 was held the The II march of recovery for the Camino de Santiago by El Bierzo Alto and La Cepeda, which has gathered more than 300 people in a ceremony and a march walk from the Church of Manzanal del Puerto to the town of Torre del Bierzo. Among the marchers personalities like the mayor of Torre del Bierzo, Gabriel Folgado, which claimed the march as a first step towards greater recognition of the Camino de Santiago by the government and as reviving the economy they were municipality. 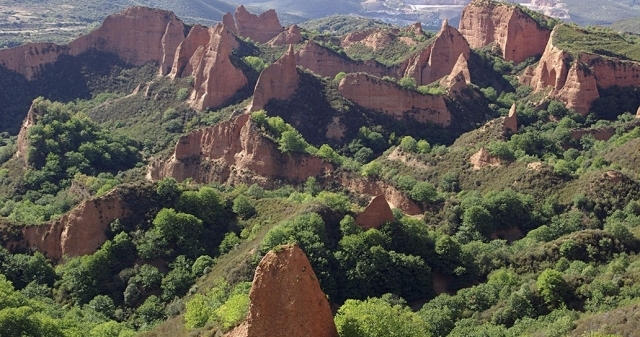 The so-called Camino del Manzanal is a 60 kilometers separating the Manzanal and Ponferrada, through towns like Torre del Bierzo said, Bembibre and the monastery of San Miguel de las Duenas. For him run a year about 2,000 pilgrims and has already been documented in the fifteenth century by the German monk Künig von Vach, which recommended this route in his famous pilgrimage guide mainly destined to his countrymen.